We were very fortunate with our new school building to have a garden bed built for every grade. Integrating gardening into the curriculum would be one strand through which children would learn about sustainability. There was one small problem though: I didn’t know very much about gardening. So, when the year began, I promised my students that I would write a reflection on my blog for every journal entry they wrote. Seattle’s winter has been pretty miserable, so it’s been a while since we observed or wrote anything. We learned about growing plants and food in many ways. We read non-fiction and fiction (I have a new appreciation for The Secret Garden), did some actual gardening, planted trees in a local park for our all-school service day, and most importantly learned from others. (One of our teachers is a master gardener, and we are lucky enough that she is also a school neighbor allowing us, not only the opportunity to learn from someone passionate about gardening, but also having classes visit her own personal garden many times a year.) Just last week, we were in her garden measuring the perimeter of various beds with non-standard units of the children’s own feet. This led to a great discussion about standard and non-standard units for measurement. We learned about the worm bins and compost bins (our fifth graders collect the compost from the classes once a week and add them to the bins). We also learned how to fertilize the soil using cover crops such as vetch and clover. 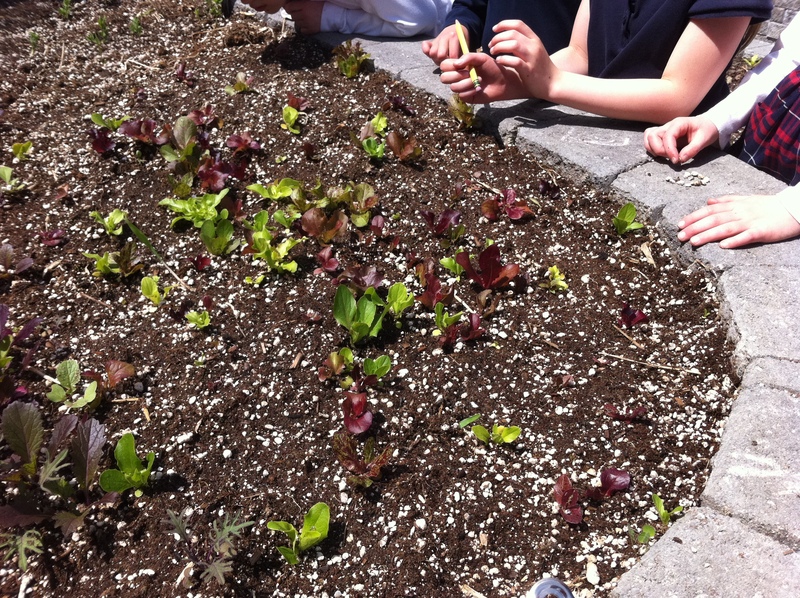 Then, just before spring break, the two second grade classes planted some flowers, radishes, and a host of lettuce greens. This week, we took some time to observe our garden bed, think about all the garden related activities we did, and then write a journal entry. Next week, we should be ready to taste a few things. I keep telling my students that learning never ends. I always learn from them as they have so much to teach, but to also have the opportunity to learn with them, is pretty special. What should a five-year old know? This month’s Educational Leadership has a great article about trying to strike the balance between academic rigor and play in kindergarten. Many kindergartener teachers are moving to worksheets in order for their students to take something home to parents as evidence of learning. According to the article, there is also a much bigger emphasis on student performance and outcomes and a “rush to promote content achievement.” But what if we could do both? What if we could integrate the natural curiosity of a child through play, and at the same time, develop important core concepts? The following TED talk is a fine example of how we can do just that. This video is less than five minutes long and shows how, using homemade play dough, you can turn little kids into electrical circuit designers. If you like the video, you can get the recipes here. Someone once asked where I get some of my ideas. The answer is the web, but more specifically, from other educators who blog. It took a year of blogging before I used the time during this mid-winter break to explore twitter. I have to admit, it’s an incredibly great tool. I have a lot more to learn about it in order to build a meaningful pln. A lot of new technology requires one to be resourceful and teach themselves how to use it. There was no training in setting up this blog, creating my class website, and using tech in the classroom in meaningful ways. What it does take though is time. Time to explore, discover, play, and share. Some of the things I’ve learned about or learned how to do through videos on the web have all been through other educators. Educators eager to share their passions about making learning more engaging for kids. Here are some of my favorite blogs and websites regarding tech. There are others more focused on ed. news, but I’ll get to them another day. and of course all the teachers and parents I work with who willingly share and point out useful resources. so many of the cool web 2.0 sites area all startups and who knows when or if they’ll go out of business or be swallowed by a larger company. Paper and pencil activities, creating and working with concrete models, and face to face discussions and interactions all remain valuable tools in learning, enhancing these with technology must be done so with care. Teachers are faced with one-size-fits all scripted curriculums that don’t often help kids think for themselves. They are bound by inflexible standards that delve into the minutia of a subject matter for which they and their students are held accountable for.How could kids possibly do so, if teachers aren’t thinking for themselves? Our school’s mission includes creating confident, courageous, and curious learners and includes the values of respect, responsibility, and resourcefulness. Using the biography of President John F. Kennedy is a great way for kids to try and find these traits in others. 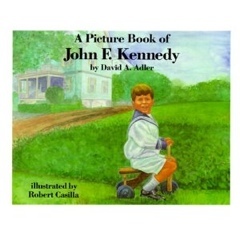 I love David Adler’s biographies for kids, and leading up to President’s Day, we read his biography on JFK. We discussed if he would meet our school’s mission and values, giving examples. Then the children go on to choose their own biographies searching for those same traits. I also add the task of asking them how their famous person changed the world in a positive way. 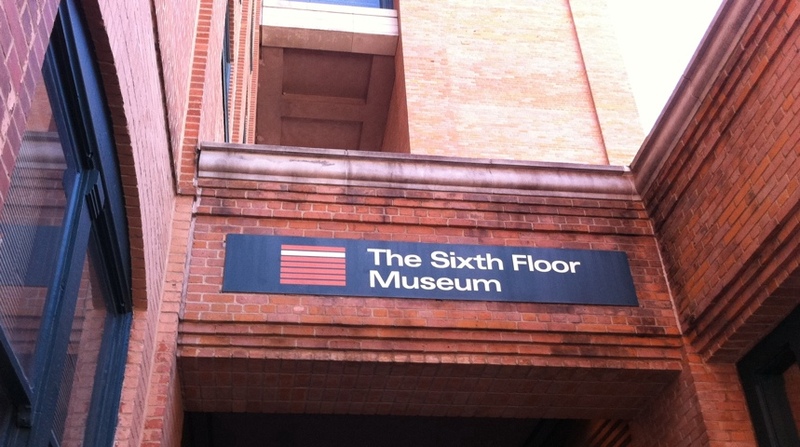 It’s my first time in Dallas, and being Presidents’ Day, it made perfect sense to visit the Sixth Floor Museum which highlights JFK’s life and sadly, his assassination. While he was president back in the sixties, it’s amazing how much the current state of the country seems to parallel that era: extreme polarization in politics, people demanding justice and equal rights, a president committed to improving education, and the country involved in war. We have come a long way since then, but things remain unfinished. I’m less concerned about teaching kids how to use technology itself. They take to it like drinking water. Even very young ones. I’m sure you’ve seen toddlers navigate an iphone with almost no instruction. I’m more interested in getting students to build behaviors that allow them to make careful decisions about the technology they use. It’s not just net safety, which I do worry about, especially with younger children. For example, I just don’t feel comfortable taking pictures of kids in my class and putting them up on any photo-sharing site like flickr . On my class website parents need a password to view the gallery. They can view everything else such as the curriculum, my weekly letter, or any other kinds of things I wish to communicate to them. What is also important to teach kids is civility when responding to articles, especially these days where many do so under some anonymous pseudonym. The vitriol can be quite distasteful. Let’s face it, technology is here to stay, but we can learn to switch it off and use it in ways to create rather than simply consume. Second graders still need to write with pencil and paper, but more and more, I’ve noticed many starting to come to school with early keyboarding skills. I don’t mean one finger typing, I mean many are using software at home out of interest and learning how to keyboard on their own. At our school keyboarding isn’t taught until third grade, so they’re definitely getting it elsewhere. I’ve been thinking about a closed private blog for second graders where they can write a short story, book review, or post photos they have taken. Not because I want them to learn how to blog – they will have lots of time to learn how to do this. I want them to begin using their real names to make comments on others’ work and learn how to do so respectfully and with thought. The vitriol I mentioned can turn into what is called cyber-bullying, and it’s never too early to deal with that. They also need to learn how to limit their use and reliance on technology and see it for what it is – a tool. When Egypt turned off internet reception last week, people (who had the capacity to think) used older technologies and pulled out their old dial-up modems, and communicated through ham radio frequencies. There’s another great article about moving students online. It suggests that we model that behavior for them. There’s a great quote from the article: “Students should be able to find themselves online, associating their full names with their best work for a global audience to see.” It suggests four first steps for teachers. Become googleable yourself – it suggests starting a twitter account or a blog. Practice and Teach “Reputation Management” – What you put out there is FOREVER. Even if you delete it, it is most likely cached somewhere. There are plenty of good articles in here like one about five lessons administrators should keep in mind as they implement new technology initiatives. Another one, titled Making the Most of Your Cl@ss Website was interesting to me. This is the first year I’ve had one, and its main purpose has been to communicate to parents. According to the article that’s only level 3 (there are five). Level 4 should focus on the curriculum, but also have the student participate. Level 5 helps the student direct their own learning where the teacher places carefully constructed open-ended questions. At first I started to react that I didn’t have a website at that highest level, but the article said it was rare, it would probably require students to be older than the ones I teach, and hey, this is the first year I’ve had a class website – and blog. I’m still learning. There’s even a great article titled, how PowerPoint is Killing Education which discusses how slides can be effective, but not if we bore kids with headings and bullet points. That’s just an outline, not an effective lesson. In the end though, as a short article states: “Good teaching trumps good tools.” Besides, I have no idea what we’ll be using in ten, fifteen, or twenty years.